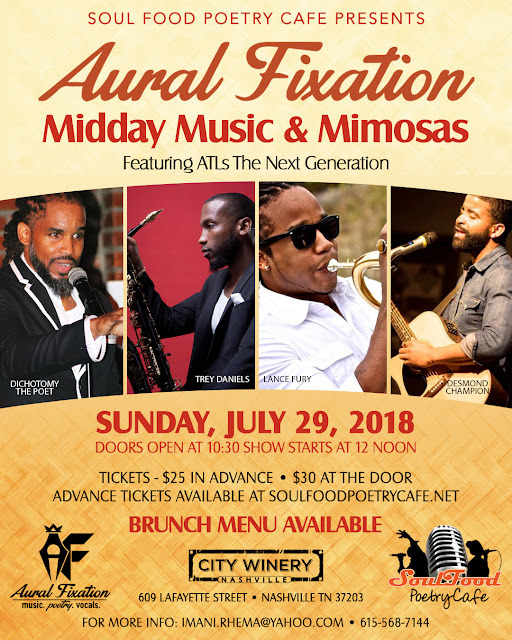 SOUL FOOD POETRY CAFE: Midday Music & Mimosas at The City Winery!! Founded 12 years ago by Nashville poet Imani Rhema, The Soul Food Poetry Cafe is an award-winning live music and spoken word experience featuring some of the most talented artists and vocalists in the community! Our home venue is the exclusive City Winery Nashville. Midday Music & Mimosas at The City Winery!! Soul Food Poetry Cafe is very proud to bring The Next Generation to Nashville! One our SFPC family members and a crowd favorite, Dichotomy the Poet, will be our featured poet. You have seen Dichotomy on our stages since we had this idea to bring open mic poetry from the underground to Nashville mainstream nightlife back in 2007. He has joined forces with Saxophonist Trey Daniels, Trumpeteer Lance Fury, and Singer/Songwriter Desmond Champion to create a entertainment force to be reckoned with, THE NEXT GENERATION. featuring the City Winery's famous Champagne Mimosas, an exclusive brunch menu, and some of the best live music and spoken word this city has ever seen!! It's going down Sunday July 29th! Doors open at 10:30, show starts at noon! 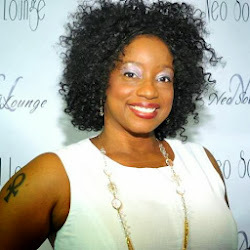 As usual, we expect a Soul Food Poetry Cafe Event to be SOUL'D OUT! Tickets are already selling fast - we are upstairs in the City Winery's intimate LOUNGE...the last time we were up there, we SOUL'D OUT in advance - so don't delay in getting your tickets! Only $25 in advance. See you there fam! The most useful and utilitarian calling in the Canada. Find organization do their best occupation in this field. It give a most obvious opportunity to acquire cash by turning into the individual from such a magnificent activity and https://legitimate-writing-services.blogspot.com/2018/10/6dollaressaycom-review.html website offer me unique info. Preparing is additionally intense identified with this activity.